Justice Binta Nyako of Federal High Court in Abuja, has withdrawn from the 19 suits challenging the status of the acting Chairman of the Economic and Financial Crimes Commission, EFCC. 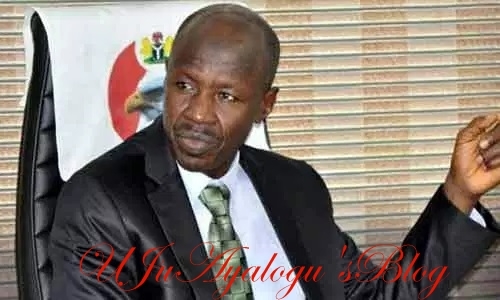 The suits were filed last year in respect of the validity or otherwise of Magu remaining as the Acting Chairman of the EFCC. Justice Nyako’s decision was in connection with the ongoing trial of the judge’s husband and former governor of Adamawa State, Murtala Nyako; and her stepson, Senator Abdulaziz Nyako, bordering on corruption charges before another judge of the court, Justice Okon Abang. Justice Nyako announced her withdrawal from the suits in the court on Tuesday, saying that her decision was influenced by EFCC’s repeated formal requests to the Chief Judge of the Federal High Court, Justice Adamu Abdu-Kafarati, demanding the re-assignment of the matters to another judge of the court. She adjourned the case sine die (indefinitely) pending when the Chief Judge would re-assign the cases to another judge after withdrawing on Tuesday.